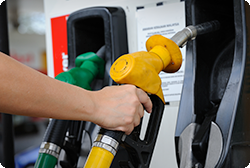 Clean fuel pumps at low volume times, so customers are not inconvenienced. To provide a safe workplace, fuel pump islands must be properly cleaned and maintained at all times. This online training module offers instruction on how to safely clean fuel pumps and what to do if fuel pumps are not in good working condition. Employees will learn safety precautions, including paying attention to traffic during this task.